Ovah Coffee: It Is Soon Time To Send Those Christmas Cards! 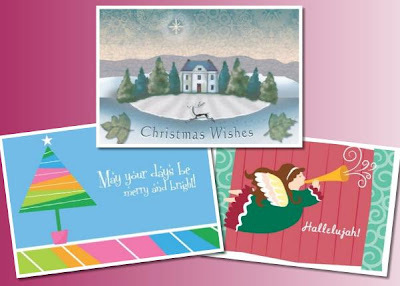 It Is Soon Time To Send Those Christmas Cards! A few more months from today, the whole world is going to be celebrating Christmas once again! It's the time of the year when tiny bulbs of different colors light up the streets at nighttime, gifts are placed under the christmas tree, christmas tunes are played almost 24 hours each day and is the perfect time for us to send the people who matter most to us christmas cards to let them know that they are loved and remembered the whole year through. My boyfriend and I are now choosing between buying just the ordinary cards or ordering personalized ones which we have to mail at least twelve days before the 25th of December to ensure that the cards will arrive not later than the eve of christmas. Well well... I guess I need to begin jotting down the addresses of my friends. I hope I won't be missing anyone of them! Sorry you didn't see me last week as I was vacationing. I'll be doing several posts about the trip ... started yesterday ... hopefully another tomorrow and several next week. Hi Maxi, I have a Relationship Tag for you, please check it out in my sitee. Thanks! You have a lovely site by the way.. did you hire someone or did you do it yourself? Time flies so fast! It's weird I clicked my link for your healthandbeyond site and it led me to a website (healthandbeyond.com... did u change your url? Ahh, I can smell Christmas. :) I, on the other hand don't send Christmas cards (yeah, I'm bad). Hehe. If I were you sis though, I think personalized (or even handmade cards) will be better than the cards we see at bookshops. But again, it really isn't how the card looks like that matters right? Oh, and thanks for the sweet comment. Jamjam's doing better now.